Developed during the World War II by a British civil servant, Donald Bailey, the Bailey Bridge is a portable, pre-fabricted truss bridge. 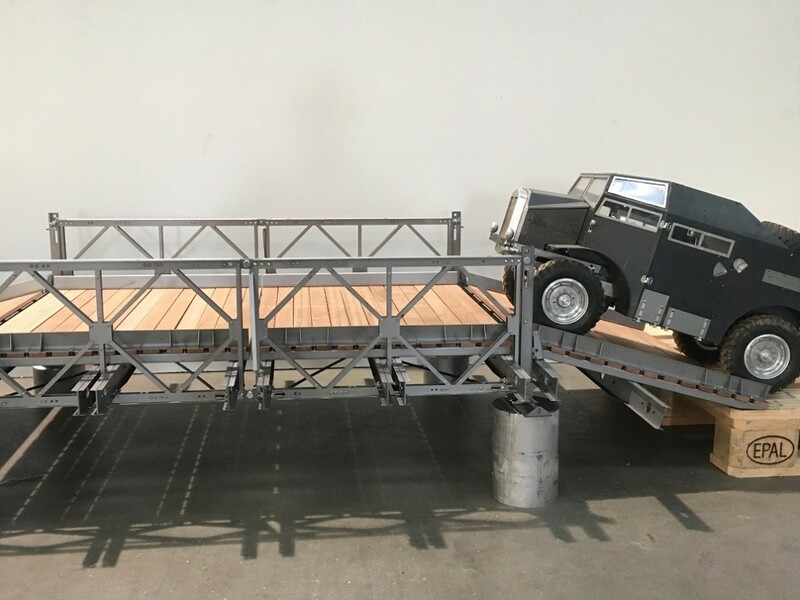 The main advantage of the Bailey Bridge is that it requires no special tools or heavy equipment to assemble and the various elements are small and light enough to be carried in trucks and lifted into place by hand – yet strong enough to carry tanks. 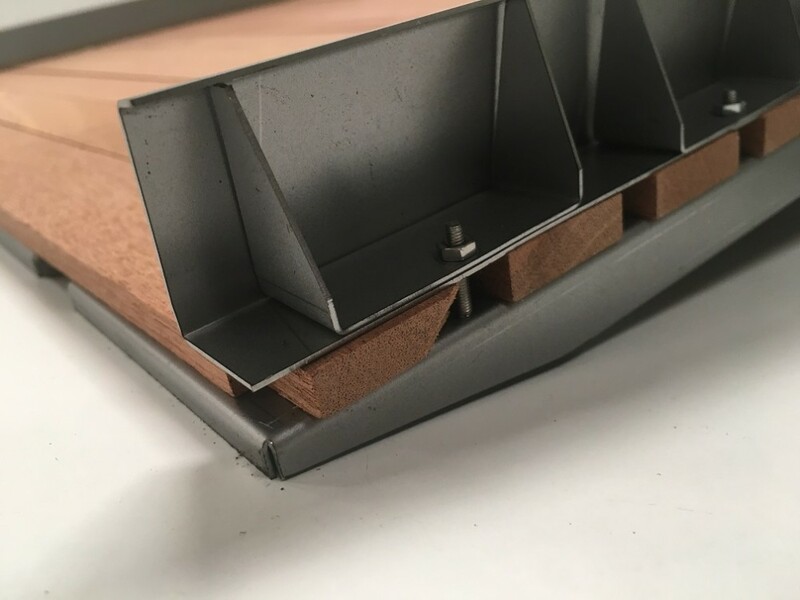 It is also relatively easy to repair damaged parts and the bridge can be extended by adding additional sections, or strengthened by adding additional panels. The Bailey Bridge continues to be used today by the military and for civilian use and has proved particularly effective in providing rapid bridging in disaster hit areas. Armortek’s 1:6 scale Bailey Bridge faithfully follows many of the design principles of the original bridge and replicates many of the parts that you would find on the real bridge, including the Panels, Transoms, Stringers, Chesses, Ribands, Rakers, Bracing Frames, End Posts and Sway Braces. 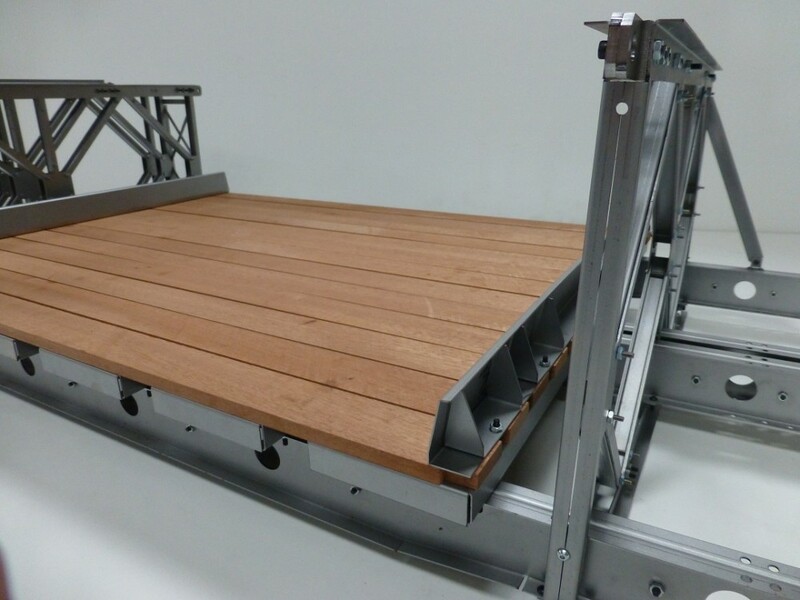 Thanks to the Mabey Group for their assistance in the development of Armortek’s 1/6th scale Bailey Bridge. 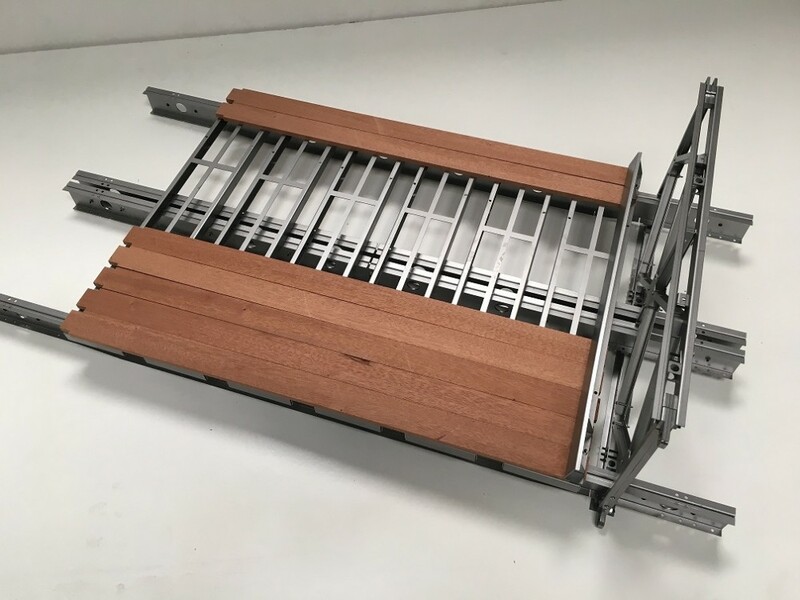 Faithfully replicates the key component of the original Bailey Bridge, including the Panels, Transoms, Stringers, Chesses, Ribands, Rakers, Bracing Frames, End Posts and Sway Braces. 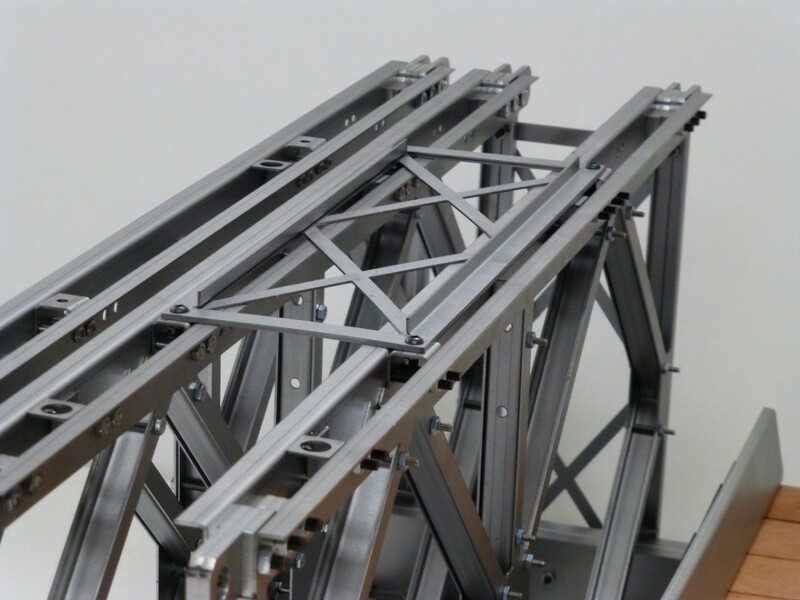 Additional panels can be added to create Double and Triple panel bridges.